… would transfer responsibility for providing security at certain National Nuclear Safety Administration (NNSA) nuclear weapons facilities to the Department of Defense (DOD). Under the bill, the military would provide security for nuclear weapons and special nuclear material at NNSA’s sites in the same manner as it does for nuclear weapons in military custody. The bill comes after a police officer entered the Y-12 nuclear weapons facility in Oak Ridge, Tenn. on Aug. 1 "without permission," according to the Knoxville News Sentinel. 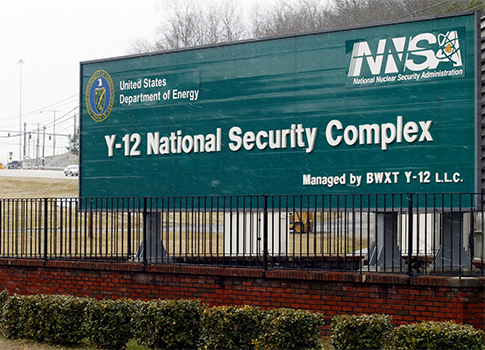 Shifting security to the military provides a number of advantages over the current system…NNSA was originally created by Congress because of major security and mismanagement problems at DOE. For 12 years DOE and NNSA have been saying they will get things right—this latest incident proves once again that they haven’t. I am not willing to risk having security for our nuclear weapons continue to reside inside this broken system. This entry was posted in National Security and tagged Congress, Department of Defense, Department of Energy, Mike Turner, Nuclear Weapons, Ohio, Tennessee. Bookmark the permalink.